Hello from Panama! I am once again hanging out at a Shamanic healing retreat in a place called Boquete in the Northern part of Panama. It is very rural and un-commercial which suits me down to the ground! No crappy fast food joints, no sky’s full of chemtrails, no one rolling around the town drunk at night, and never is there any aggression on the roads. It is a real simple place and the local people here are very sweet and good natured. I like being away at Christmas time as I am not keen on the overconsumption that goes on back in the UK….plus the weather ain’t to good, so I like to take flight to sunnier climes at this time of year. I watched an amazing film on Boxing day that connected me with the true meaning of Christmas – Jesus of Nazareth directed by Franco Zefferelli. 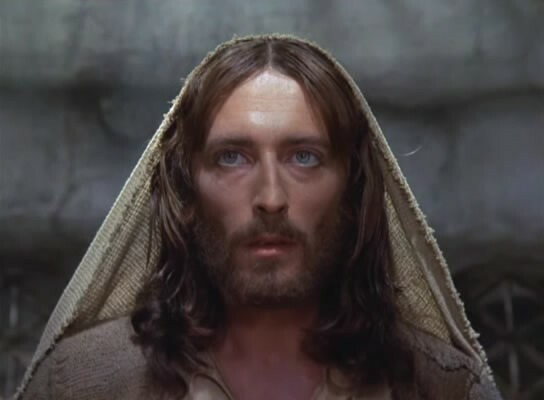 It has an all-star cast and Robert Powell’s portrayal of Jesus is awesome. Stunningly brilliant acting! I had heard of this film before but it was my Shaman teacher who put me on to the power of it, and we watched the full 6 hour version of it on Boxing day. In Shamanic circles this film is highly regarded and believed to be a very close depiction of the true story of Christ. As if a download from the source! The film conveys Christ’s message of love, compassion and tolerance beautifully and it is very impactful. I came away from the film thinking what the world might be like if Christ hadn’t lived and passed on his wisdom. It doesn’t bear thinking about. “I like your Christ. I do not like your Christians. This film along with the work I am doing with my Shaman has inspired me to produce a new hypnosis recording to help people go beyond their pain bodies and connect with their divine source, whatever that might be. It is a different understanding in each of us so I will leave that very open on the recording. I believe without a strong spiritual connection life is meaningless. I also believe that your next life will be more of the same unless you awaken and begin to evolve spiritually. Many people shuffle through life in a semi-conscious state dismissing all spirituality. They put everything into their career at the bank or solicitors, retire in comfort, watch hours of TV each day without ever looking beyond their disconnected existence. I mean what is the point! We certainly didn’t start life on this planet like this. Every ancient civilization had strong spiritual beliefs that were an integral part of their existence. Life, birth, death was always a ceremony and a continuation. Disconnection is such a waste and I am feeling really inspired now to make a powerful recording that will help people have more meaning and help them to evolve spiritually to a place of higher consciousness. The spiritual path can be challenging but the rewards are huge and it ultimately puts us back on the right path. Do please post your feedback below as I love reading your comments and thoughts on my posts. Much love and happy New Year. Hello from UK with not so nice weather and overconsumption goes on. Nice to have a soul mates even that never met in person. All this post is… JUST ME 🙂 You know, when I see fights in shop on Boxing Day sales and I’m in town mixing wit the crowd in my head always goes on song from musical “HAIR” :”Where do I go follow the river… where will they lead me and will I ever discover why I live and die?” Seriously 🙂 And I’m thinking exactly like you: “WHATS THE POINT?” ha!ha! Why crowds never think why they live and die, and never rethink why Jesus came to the earth? Just to give us Boxing Day sales??? And you know, when I was younger I always dreamed to go to sunnier climes in every winter, just like you 🙂 You remind me that dream just now and I think now… why not? With your inspiration I know EVERYTHING IS POSSIBLE! That put to my mind your great recordings and your inspiring life story. So I wait to hear you new recording and maybe… see you next winter in Panama 🙂 Much love and blessings to you. You can do it. Doesn’t matter where. Just go somewhere even if it’s in the uk. You’ll still be blessed with a gift of meeting just the right people and having the right experiences. Blessings. Glenn, you are a fantastic man, a very wise teacher and those of us that you have helped should always listen to anything that you say, or think. As I start another New Year I am thankful that 12 yeaRS ago your tapes and your teaching brought me out of years of depressive negative thinking, to where I am today- happy, free and enjoying life! I look forward to your new recording as I am totally sure that the spiritual dimension is vital to a peaceful mind and fulfilled existence! very best wishes to you and your team for a great 2014! Nice to hear from you! ( I have only heard your lovely voice on CDs…). Thanks for speaking out for that lovely man Jesus too, and for Gandhis quote. And lucky you for being with shamans, ayuhuasca too? I use many of your CD’s in working with alcoholic and drug addicts. I will spread your message of peace and love throughout the world. I will house the homeless, feed the hungry, and comfort the oppressed. Tell me Spirit of Christmas, what will you have me do? they have become part of the fabric of my life. How can I loosen their hold on me? Dissipate the darkness of your shortcomings. I love your CDs, especially the ones where you collaborated with Ali and Daniela, and have almost all of them. They helped me through difficult times. Look forward to your new CDs, Glenn! I love the Ghandi quote, also. A Happy and Blessed New Year to you from Texas! Thank you for sharing such a beautiful piece of work with us, it is so profound and has a real impact in the meaning. There is real beauty and integrity to be found in the sharing of works like these, my own personal favourite is The Prophet by Kahil Gibran amongst many others. I envy Glenn over there in warmer climes and enjoying the peace and simplicity, I have a real interest in the philosophy and culture of The Native American peoples I believe I have a spiritual connection from a past incarnation. I think the key is to keep listening and the more we listen to our true selves the nearer we come to the divine. Go gently, go well & a Happy New Year. Glenn, your life story fascinates and inspires me. 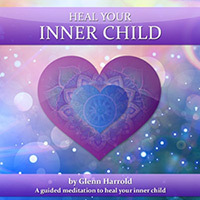 Your meditations heal me. I recommend them to so many people. Still, not everyone is ready for them. In the meantime I’m so glad to know that there are so many of us in alignment (as best as we can be) with the global changes. THANKYOU for contributing to these life saving changes. And yeah, Jesus rocks – what a guy! I think the idea for the new meditation is a good one. Look forward to seeing it soon. Your work is now helping countless addicts and alcoholics who are just getting started on the road to recovery. I have seen people transformed after a session in our healing bed with one of your Solfeggio Healing meditations. We are truly blessed to have your work as part of our system. Most people are spiritually bankrupt when they finally make their way to treatment and begin the recovery process. 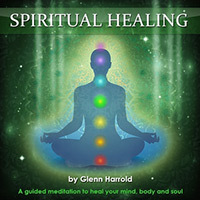 In my opinion spirituality is the key component to long term, meaningful recovery. I will be in contact shortly about adding your new selections and how we can offer more of your work to addiction survivors. Remember to get in touch the next time you are in Florida so you can experience your work through the bed. Excellent blog!! I am so pleased to see you promote the real meaning of Christmas. What a lovely message, Glenn! Thank you very much. We saw “Jesus of Nazareth” many years ago, and your blog has made us eager to see it again. Wishing you a blessed 2014. Wow, thanks for your awesome responses. I always wonder how my ‘spiritual’ posts will be received, as it is such a personal area. But from reading your messages it is great to see how this one has connected with many of you. It still blows me away when I read a message about how my recordings have transformed a life. I have always put my heart and soul into the scripting, then the recording and mastering process…..and hope that they hit the mark. Some are better than others, probably my newest recordings are the most powerful…but then I don’t really know as I am too close…..and once they are finished I forget about them and move on to the next one. 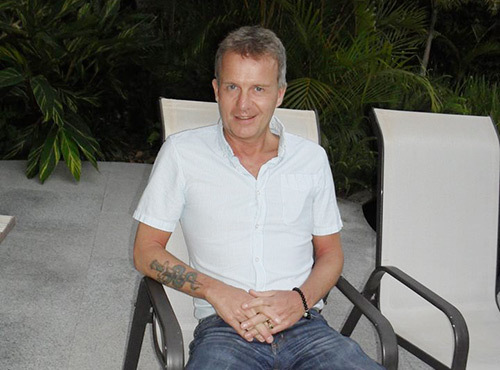 2013 has been quiet for me (as far as hypnotherapy goes) as I have been working on my music and songwriting and have just heard that I have bagged a publishing deal in Asia, Aus and NZ. Exciting stuff! However, once I get back to the UK I will start on some new hypnosis recordings that have been most requested….as ultimately that is what I am supposed to be doing in this lifetime! If I have a number one hit song then that will be a nice bonus! Anyway this will probably make the basis for my next blog now as I didn’t intend to write so much….but your delightful messages here got me all inspired. May God bless you and continue to grant you success. Many thanks to you Glenn! I consider myself blessed by your recordings! I LOVE this post of yours! Now I want to watch the movie! And I especially like the quote by Ghandi. Glenn, I own many of your materials and have found them 2be the best at changing patterns in my subconscious mind. You mentioned Jesus of Nazareth and even referred to him as Christ, but have you accepted him as your personal Savior/payment for your sins. Christ came to do more than teach us how to live a good, moral ife. He came to give us life and life more abundantly. That life only comes through a confession of our sins, a repentent heart, and a belief that Christ is God and he paid the price for our sins through his death, burial, and resurrection. You are aware of the higher level of life we expriemce when we open ourselves up to spirituality, but REAL living begans when we accept Jesus as Savior. Our spirits are made new and we become children of God. You speak a lot about spirituality and the next life so I want to encourage you to find more out about this Jesus and accept him as more than just a great teacher. Please join my spiritual family as a believer in Christ. I know it will take your personal and professional life to the highest level! Happy New Year to you and yours. Just want to say thanks for all those fantastic CDs you made as they have helped me in so many ways over the years. Keep up the great work. I hope 2014 is a great one for you.